Do you need to improve your FIFA 13 free kick techniques as much as I do? If you do, or just want to polish your skills, check out our partners at VirginGaming.com‘s first 3 Free Kick Tutorials here for Dipping, Curved and Driven free kicks. 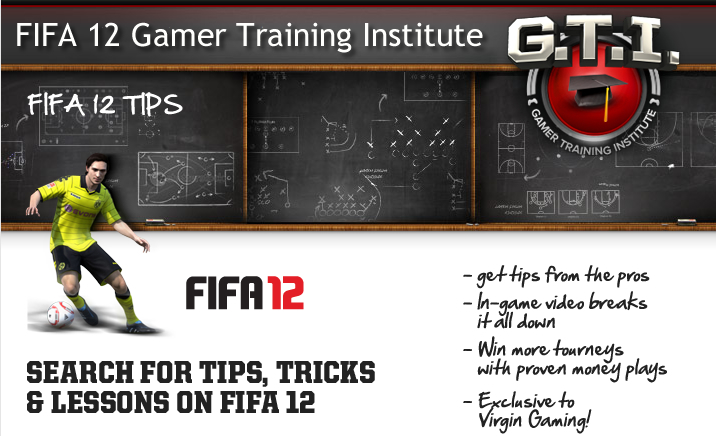 Set pieces are vital to being promoted online in FIFA 13. Because scoring comes at a premium this year, you have to take advantage of every opportunity you have to score – including but not limited to free kicks. The dipping free kick is a shot that climbs up and over the wall of bodies, then quickly dips under the bar. Check out the Controls, When to use, Who to use and How to aim by clicking on the YouTube link on the video above. The curved free kick is often avoided by gamers because they’re unpredictable, unreliable, and put simply — they don’t know where or how to aim. This video shows you how to consistently score using the curved free kick. The Driven Free Kick in FIFA 13 is something that can be used by beginners and crafty veterans alike. There’s no other free kick that beats the Driven Free Kick in terms of success or simpicity. This video breaks down the Driven Free Kick in terms of aiming and kick power. Remember to master the controls, as the sooner you can attempt this shot, the less time your opponent can manually block it by pulling back an extra defender to guard the far side post. Want to Play FIFA 13 for Ca$h? Then sign up for an account at our partners at VirginGaming.com and start playing your mates for Ca$h.